This manual dial, floor sensing thermostat is specially designed for the accurate control of electric underfloor heating. The thermostat will control up to 3600W, 16Amp and comes with an integral on/off switch for when you don't require heating. 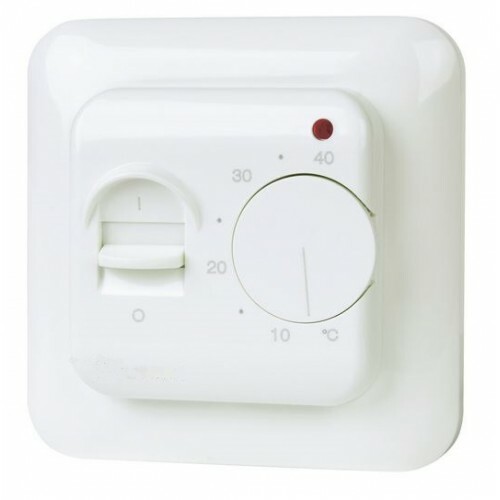 A reliable and functional thermostat with an easy to use graduated scale (5 to 40°C), which makes setting the required floor temperature very simple. The scale can also be adjusted so that the min and max temperature are limited.